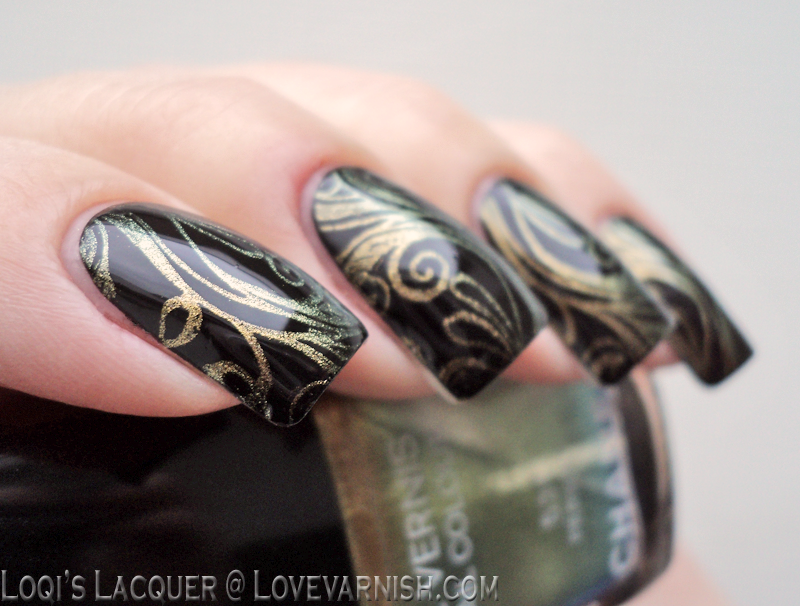 Curly stamping images always look so classy, and they pop even more over this black base stamped with Chanel Péridot. The duochrome looks so pretty this way! Each year, Pantone names a color (or 2) as color of the year. For 2015 it was Marsala, and Catrice was right on trend by releasing this beauty at the end of 2014.